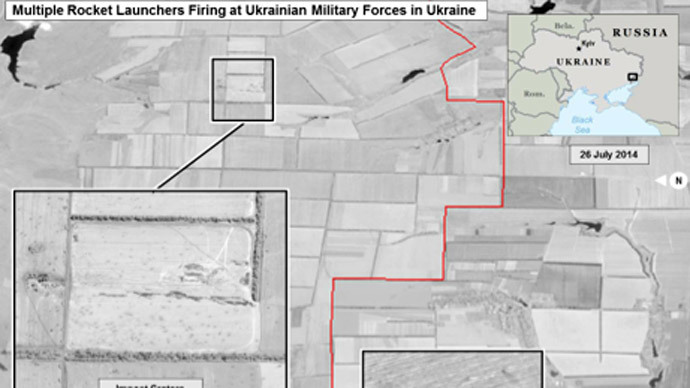 The US State Department has released satellite images via email which it says act as “evidence” that Russia is firing rockets at Ukrainian troops across the border. 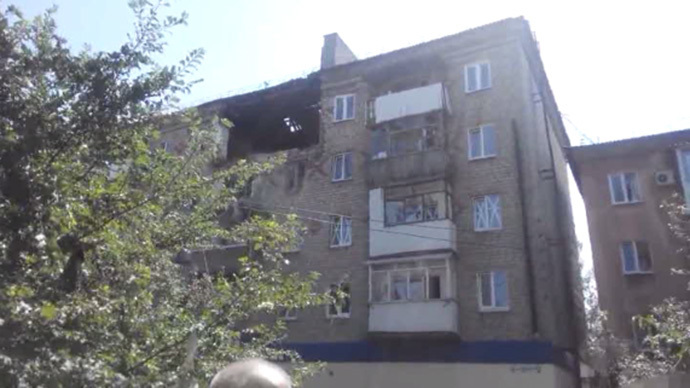 The images were posted on Twitter by the US ambassador to Ukraine, Geoffrey Pyatt. 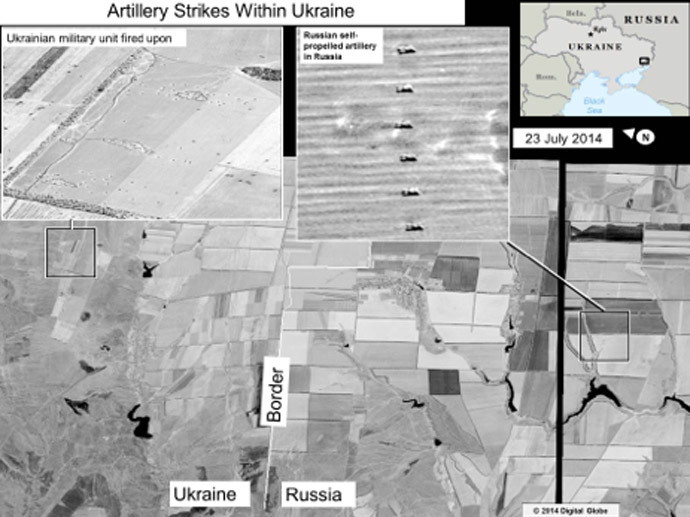 The four-page emailed document, titled 'Evidence of Russian Shelling into Ukraine,' contains four satellite images, all dating between July 21 and July 25/26. “The bottom impact crater inset shows impacts within a local village,” DNI claimed. 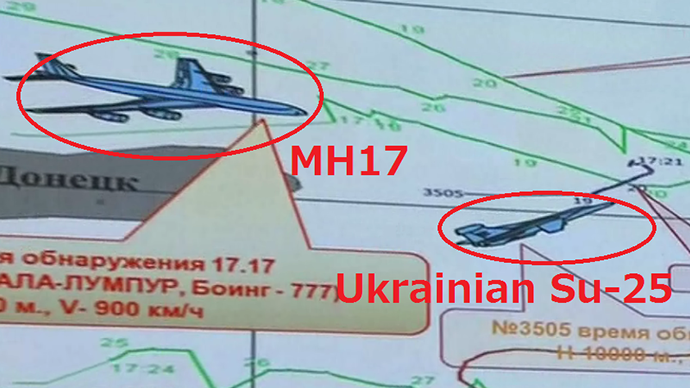 Pyatt did share images on his Twitter account, but did not include any additional information. 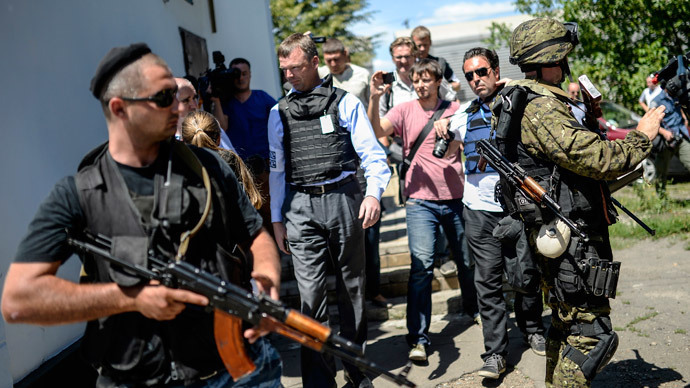 Washington also said that more details would be available on the website of its embassy in Ukraine. However, at the moment of publication, there were no updates to be found on the embassy's site or on Pyatt's blog on the same page. Follow @GeoffPyatt for new images of evidence of Russia firing into #Ukraine; go to http://t.co/nZ2rQI8n3H for more info on the situation. Paul Craig Roberts, columnist and head of the Institute for Political Economy, told RT that he doubts the credibility of the photographs released by the State Department. He added that experts would explain the meaning of the photographs and their validity. 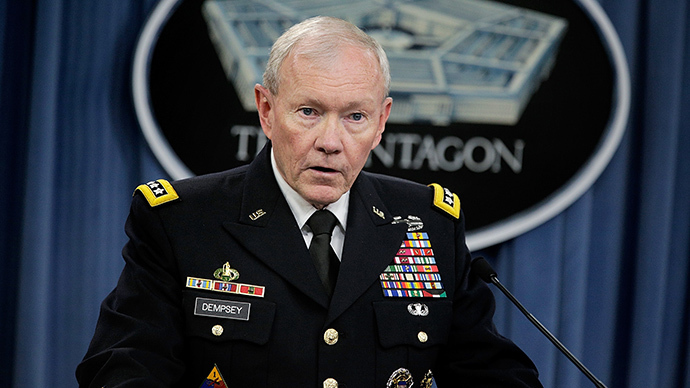 “The US government has been desperate to produce information to back up its claims. It would not release information in this way,” he said, adding that anyone can spread information on social media. 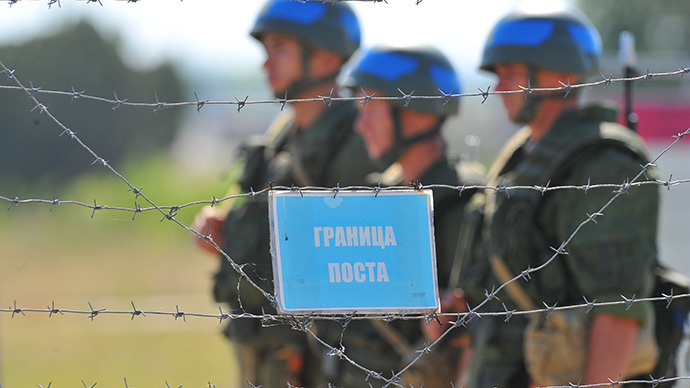 On Sunday, however, Russia’s Defense Ministry said that international inspectors who have been coming to check the state of Moscow's troops along the Ukrainian borders have found no violations. “It has come to our attention that new allegations by top US officials as to the alleged amassing of Russian troops along the Ukrainian border have been voiced,” the ministry said. The ministry listed the international makeup of those inspections, which include representatives from the US, as well as NATO and Ukraine. “No instances of violations by Russia along the Ukrainian border had been registered by the inspectors,” the ministry said. 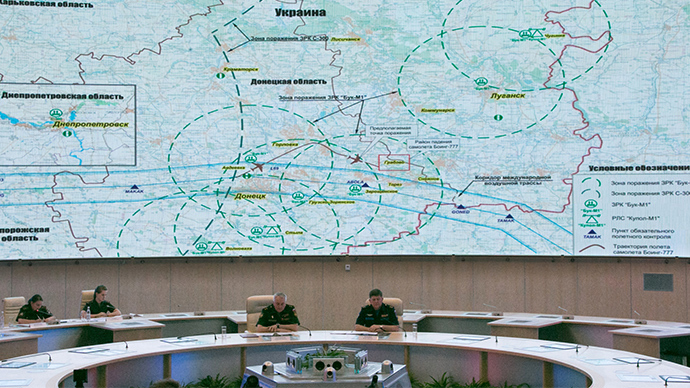 “Frequent action by the Ukrainian military taking place on the Russian border has hindered our own ability to perform similar inspections and flybys along our border,” it continued.